This brochure introduces Yee Hong’s philosophy and continuum of services. Click here to download the pamphlet. Sexuality and intimacy is often viewed as a topic of taboo among seniors. Recognizing that it is a part of life at all stages, the Yee Hong Centre for Geriatric Care has partnered with Professor A. Ka Tat Tsang of the Factor-Inwentash Faculty of Social Work at the University of Toronto to develop an appropriate intervention. After three years of research and development, we have created a proactive procedure and a practical handbook which we believe is first of its kind. Based on the SSLD (Strategies and Skills Learning and Development) System, this book provides practical skills and case studies in managing sexuality and intimacy issues among seniors. A must-read for all health professionals! 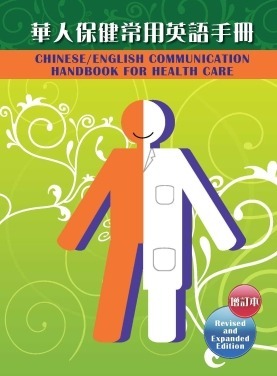 The Communication Handbook for Health Care provides Chinese-English translations of commonly used terms in health care. Based on normal clinical procedures, it includes useful conversational phrases between the clinician and the patient, glossaries for different clinical settings as well as basic health information. The bilingual handbook can be used as a communication tool between English-speaking health care professionals and Chinese-speaking patients. Since its first edition in 1998, this handbook has been well received by both patients and health care providers. The new Revised and Expanded Edition is available in traditional and simplified Chinese. The updated appendices include an In Case of Emergency Information Sheet, bilingual glossaries of health care specialists and hospital departments, and useful government and community resources in the Greater Toronto Area. Funded by the Ontario Trillium Foundation and in partnership with the University of Toronto Factor-Inwentash Faculty of Social Work, this research study aims to identify the changing needs of Chinese seniors who live in the Greater Toronto Area (specifically Toronto, Markham, Richmond Hill, and Mississauga). Using a mixed methods approach, data was collected from 655 seniors and service providers, caregivers, and other informants at the Yee Hong Centre for Geriatric Care. 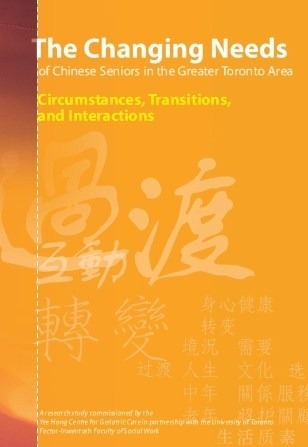 The study documents the common needs amongst Chinese seniors (seeking help with physical care, mental health issues, spiritual needs and the final stage of life), giving special attention to (1) Changes in circumstances such as demographics and social environment, (2) Major transitions in life such as immigration, retirement, or onset of chronic conditions (3) Needs emerging as a result of the interaction between service users and the service system. The findings also cover the special needs of middle-aged adults and caregivers, the role of gender amongst caregivers, as well as the unique needs of Mandarin-speaking seniors and middle-aged adults. Sensitive issues such as elder abuse, sexuality, and attitudes towards death and dying have also been explored. Recommendations are provided to inform future service planning and program development. In 2012, the Chinese Caregiver Network obtained input from the participating agencies as well as caregivers through agency interviews and caregiver focus groups to assess current services. 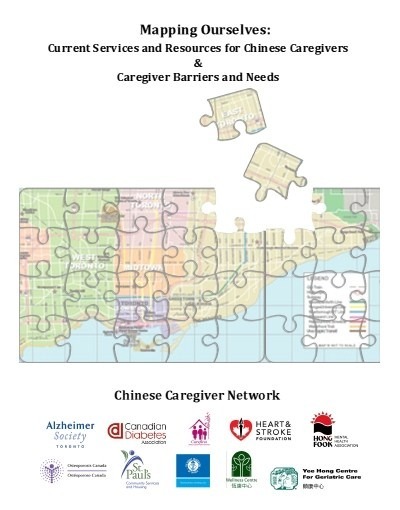 This report provides a general overview of the existing caregiver services available through the member agencies of the Chinese Caregiver Network, as well as highlighting caregiver needs and capacities. 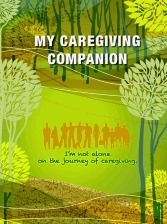 This booklet aims to equip family caregivers with the relevant knowledge and resources needed in caring for loved ones. Section I of the booklet provides self-care tips for the caregiver, including time and stress management. Section II provides practical tips such as how to work with medical professionals, home safety, as well as government and community resources for in-home care, respite, long-term care, transportation and financial support. More resources are listed in the Appendix, together with 16 monthly calendars and blank notes. 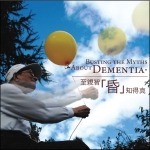 My Caregiving Companion was published in separate English and Traditional Chinese versions. A Simplified Chinese version without calendars can be downloaded here. 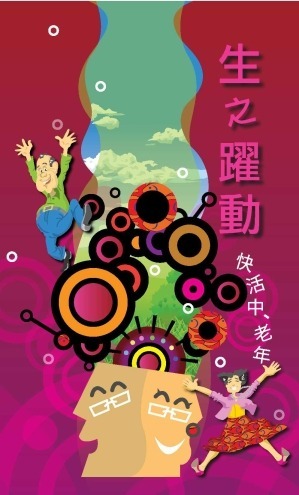 This book is a compilation of 90 newspaper articles authored by social service professionals at Yee Hong to promote active living and psychosocial wellness for seniors. The articles also offer practical tips and connections to support networks for the well being of family caregivers. Sponsored by the Ontario Trillium Foundation, this DVD is a one-stop shop for commentary from an interdisciplinary team to outline the symptoms of Dementia for caregiving families to watch out for. Tips on providing care for the Dementia-affected population are also provided. This Handbook provides an overview and examples of the major cultural elements affecting behaviors and attitudes of Chinese people toward health, illness and disability, which in turn may complicate diagnosis, treatment and recovery. The information can help health care providers assess clinical situations with a broader cultural perspective and equip them with strategies for culturally appropriate interventions and management. The book consists of three parts: Framework of Chinese Cultures, Implications for Health Care and Culture at Work. When an issue is touched upon, the book always presents both the rational and emotional aspects of an issue, enabling readers to gain deeper insights. The book was dedicated to caregivers that are caring for patients with terminal illness. It is a very helpful resource for people who are taking care of a dying family member or friend. It touches on the caring of both the patient and the caregivers themselves, as well as coping with bereavement after death. It also includes community resources and a to-do list for arranging a funeral. This brochure aims at helping families of Alzheimer patients understand the nature of this illness which affects many seniors. It provides helpful suggestions on supporting the patients and helping the caregivers to cope with their stress resulting from handling the patients. This book answers some of the frequently asked questions about stroke, and addresses the behavioural and emotional disruptions that are common in families affected by stroke. It also provides helpful suggestions on how to support the patient and handle difficult situations. Parkinson’s disease is a chronic disease that affects many seniors. This pamphlet lists suggestions on helping the patient manage the disease in medication, diet, physical exercise, recreational activities and safety in daily routines. It also touches on communicating with the patient and tending to their emotional well being, as well as coping with stress arising from caring for the patient. The pamphlet defines different types of elder abuse, such as physical, sexual, emotional, negligent, economic and abuse in institutions. It explores how extra undertaking, contribution not being recognized, changes in lifestyle, built-up stress, and lack of support can give rise to abusive behaviour, and how caregivers can avoid falling into the trap. The community resources further help caregivers seek the support they need. Funded by the Ontario Trillium Foundation and in partnership with the University of Toronto Factor-Inwentash Faculty of Social Work, this practice workbook provides caregivers and volunteers a knowledge framework and practical approach to understanding the use of Play Intervention for Dementia concepts. 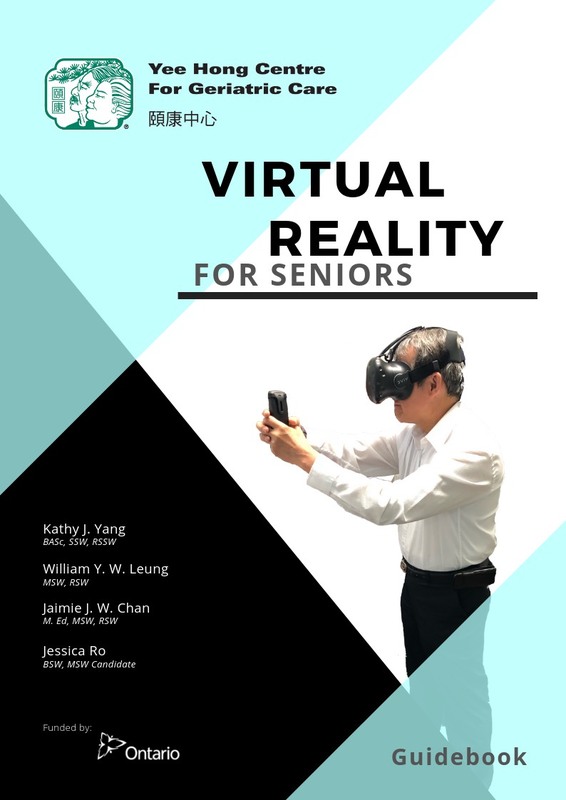 Funded by the Ontario Ministry of Seniors Affairs through the Seniors Community Grant Program, this guidebook will share Yee Hong’s experiences and observations in piloting the Virtual Reality for Seniors (VRS) Program, explore different types of virtual reality devices, and provide tips and best practices for facilitating seniors’ programming using virtual reality technology.